Who is Ron Harris? - Casino Answers! Casino Answers » Casino Trivia » Who is Ron Harris? Ron Harris is a computer programmer who was caught and jailed for cheating by manipulating source codes on keno machines based using highly confidential information acquired through his privileged position at the Nevada Gaming Control Board (NGCB). Harris, together with an accomplice stole thousands of dollars from casinos in Las Vegas before being arrested in New Jersey after suspicions arose from a $100000 jackpot won by his accomplice. Ron Harris used his cheating in the likes of Atlantic City and Las Vegas at various casinos. He also initially would hack slot machines as well. During the early 1990s, Ron Harris was working as a computer technician for the NGCB as a computer technician whose job was to find flaws in software that run computerized casino games. His job basically helped to protect casino slot machines from scammers using computer programming to influence jackpot payouts in their favor. As part of his duties he and his workmates would go into casinos and conduct random tests on machines to make sure they only ran on computer chips that had been approved by the agency. Harris realized that by taking advantage of the same source codes he was employed to protect to rig slot machines, he could make a fortune. Together with an accomplice named Reid McNeal, Harris made thousands of dollars between 1993 and 1995 from small rigged winnings in casinos in Las Vegas. He then shifted his focus to Keno machines, developing a program which tricked the machine to pay out a jackpot every time coins were inserted in a given sequence. The computer chips used in casino machines are known as EPROM’s (erasable programmable read only memory). By virtue of being erasable and programmable, Harris could erase them and install his corrupted program on selected machines in casinos where his accomplice would then come and play. Incidentally under New Jersey law any payout more than $35,000 requires verification by the state gaming department. Incidentally under New Jersey law any payout more than $35,000 requires verification by the state gaming department. Authorities were called in and went with McNeal to his hotel room where Harris was also staying. At this point, they had no reason to suspect Harris, so they left with McNeal for further questioning. It was then that they discovered Harris’s identity and details of his employ at the NGCB, and started putting together the pieces. However when they returned to the hotel room, Harris was gone. They searched the room and found high-tech computer equipment and books with details of the keno machines at Bally’s as well as possible ways to scam them. Harris would later be arrested at the airport in Las Vegas and charged in Las Vegas with computer fraud. All charges against McNeal were dropped in a deal that had him testify against Harris. Harris pleaded guilty and was sentenced to 7 years but he would be released after serving 2 years. It is reported that Ron who had worked at his $48,000 job with the NGCP for 12 years was disillusioned by events surrounding the NCGB’s discovery of the American Coin scam. 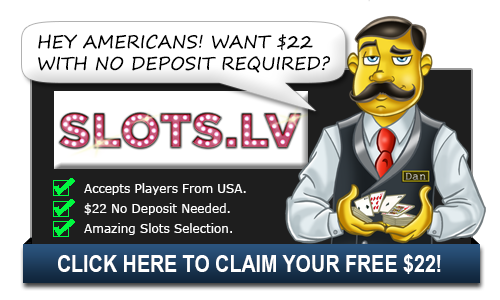 The company had reportedly rigged hundreds of its slots machines in Las Vegas casinos in order to avoid jackpots. Harris was one of those responsible for discovering the scam and he felt that his hard work in that had gone unrecognized. Further a computer programmer for American Coin who had been helping the FBI with investigations was assassinated as he pulled out of his driveway. Regardless of what motivated him to commit the crime, the discovery of that scam led to far ranging precautions by casinos and gaming enforcement agencies to prevent such incidences from happening again. What was the big Keno cheat scam of the 1990s?